India has been the nation of spiritualism for ages and this can be seen in Indian cinema as well. Although mythological niche never enjoyed the budgets of mainstream commercial cinema, still it’s always good to look at your origin. There are few big budget Animated Movies on hindu Mythology, but Animated films are not that popular in India. But TV Series on Hindu Mythologies were very famous, Mahabharat By B.R Chopra and Ramayana by Ramanand Sagar are the good examples. 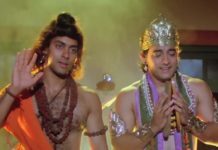 So let’s check out the Best Hindu mythological films in hindi. This Indian mythological film, directed by Babubhai Mistry is based on epic Ramayana by Valmiki. Mahipal and Anita Guha played the characters of Shri Ram and Sita respectively. The film portrays the entire life of Shri Ram. 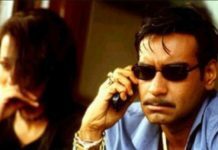 It became a huge hit and made lead actor Anita Guha, a household name. The ‘nightingale of India’, Lata Mangeshkar sang two most popular class semi-classical songs in the film, i.e. ‘San sanan sanan ja re o pawan’ and ‘Badalon barso nayan ki or se’. Another film directed by Babubhai Mistry shows his great devotion towards spiritualism and Hinduism. Hercules, Rakesh Pandey, and Kavita Kiran played the roles of Hanuman, Shri Ram, and Sita respectively. The film depicts the life story of Hanuman and centres on both his childhood triumphs and adult adventures.
. The star cast of the film includes Abhi Bhattacharya as Krishna, Pradeep Kumar as Arjuna, Dara Singh as Bhima, Padmini as Draupadi, and Jeevan as Shakuni. Film’s music is composed by Chitragupta and the title song is sung by the legendary singer Mohammed Rafi. This Hindu mythological film is directed by Vijay Sharma and became one of the top blockbusters of all time. The film is starring Bharat Bhushan, Kanan Kaushal, Ashish Kumar, and Anita Guha in lead roles. It is inspired by a Hindu folk tale and features the earthly fall out of a clash between deities. The story of the film features Satyawati as a follower of the goddess Devi Maa Santoshi. The other goddesses, being annoyed that she’s so powerful, decided to examine her perseverance by creating Satyawati’s life miserable. Jai Santoshi maa is one of the Best Devotional Movies in India. “It is the ultimate dream for anyone to visit the most celebrated and sacred Char Dham at least once in one’s lifetime” these words by Adi Shankaracharya inspired the making of the movie Char Dham. 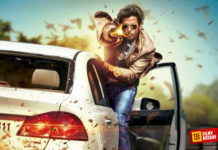 Char Dham is a Hindi mythological drama film directed by Uday Shankar Pani. 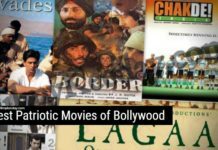 The star casts of the film include Aloknath, Kulbhushan Kharbanda, Gulshan Kumar, and Pooja Ghai. Film’s music is given by T-Series with Hariharan, Sonu Nigam, and Anuradha Paudwal as playback singers. Shiv Mahima is a tribute to Lord Shiva, starring Arun Govil, Kiran Juneja, Kewal Shah, Gajendra Chauhan, Reshma and Gulshan Kumar. The film is directed by Shantilal Soni and music is given by T-Series. Shiv Mahima is based on the Lord Shiva. Shiv Mahima is one of the best Devotional Movies in Hindi. This Indian devotional film is directed by Ramlal Hans, starring Ashish Kumar, Agha, Bharat Bhushan, and Kanan Kaushal. The film is based on the one day festival celebrated by Hindu women in North India in which married ladies fast from sunrise to moonrise for their husband’s safety and long life. 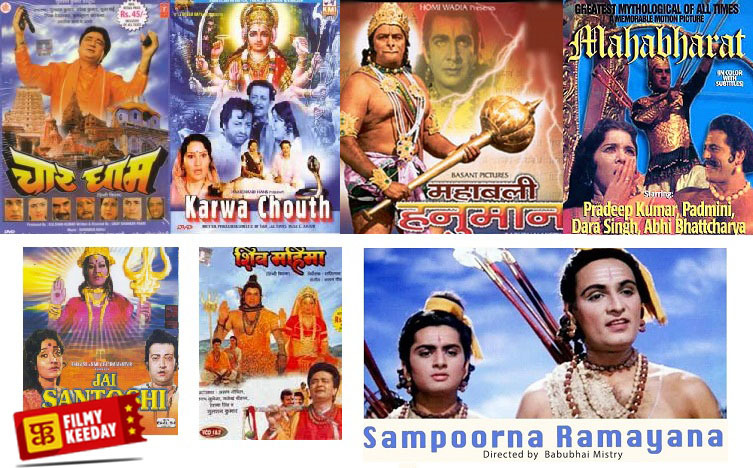 If you know more Hindi Devotional Films, then you can share them in comment section.